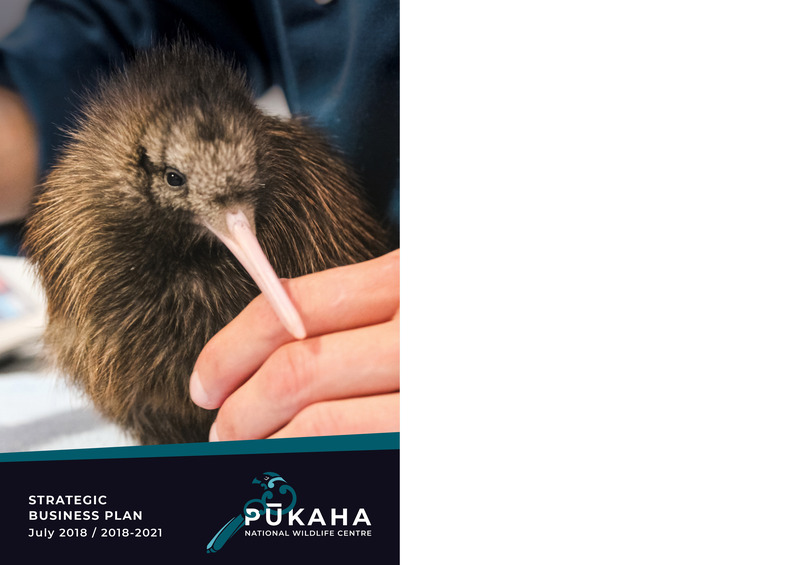 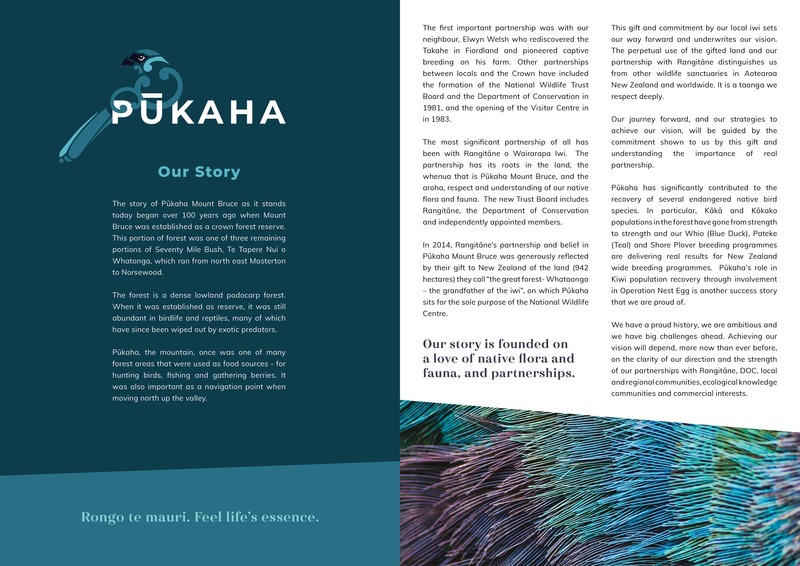 Pūkaha’s media is based on a distinctive style that we devised for them after designing their logo. 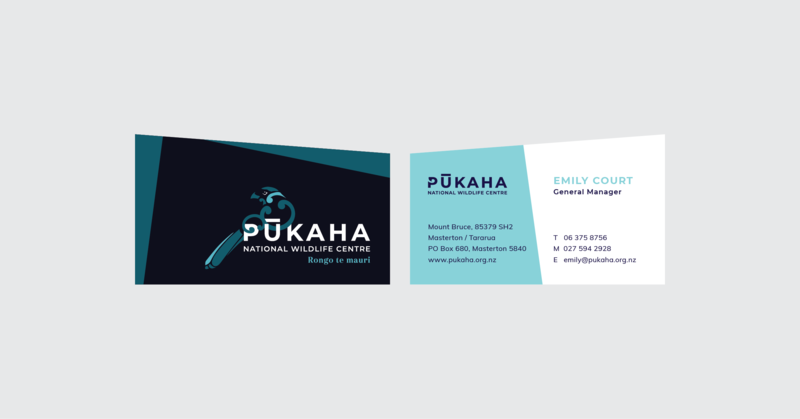 This style combines their colour palette with angled dividers and clean typography, alongside “flat” graphic illustration and full scale photography. 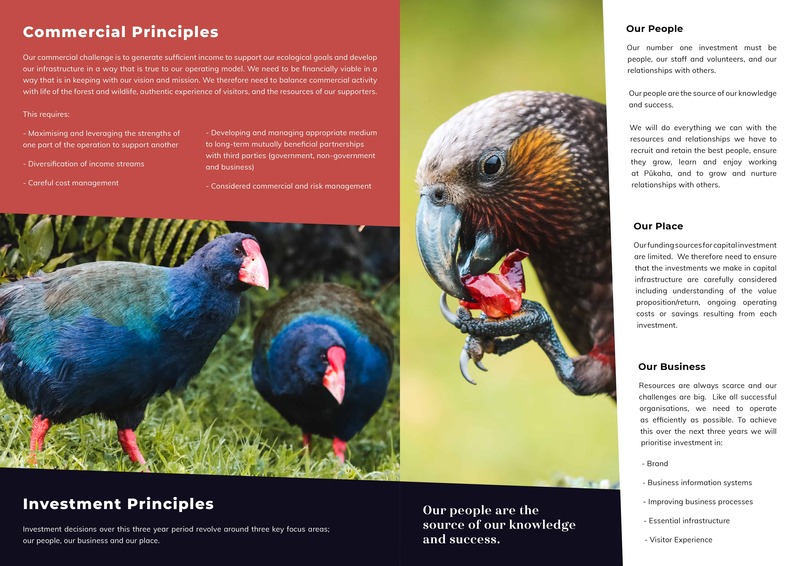 It carries a very distinct innovative look that sets the wildlife center apart and completes their brand. 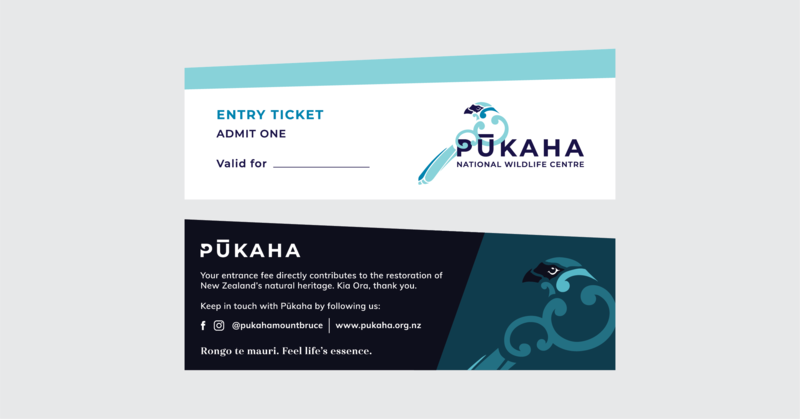 A special point of difference are the cards and tickets which were physically produced by Printcraft with an angular slice, giving them a completely custom shape. 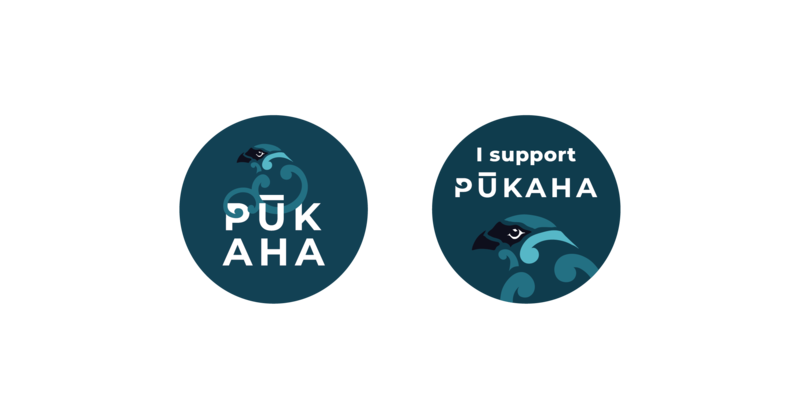 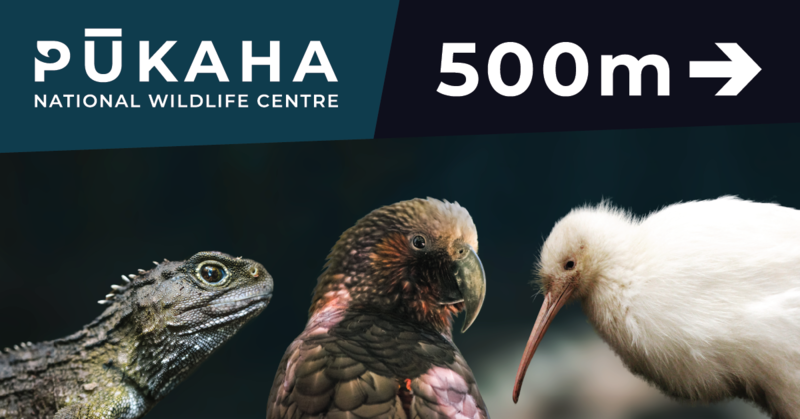 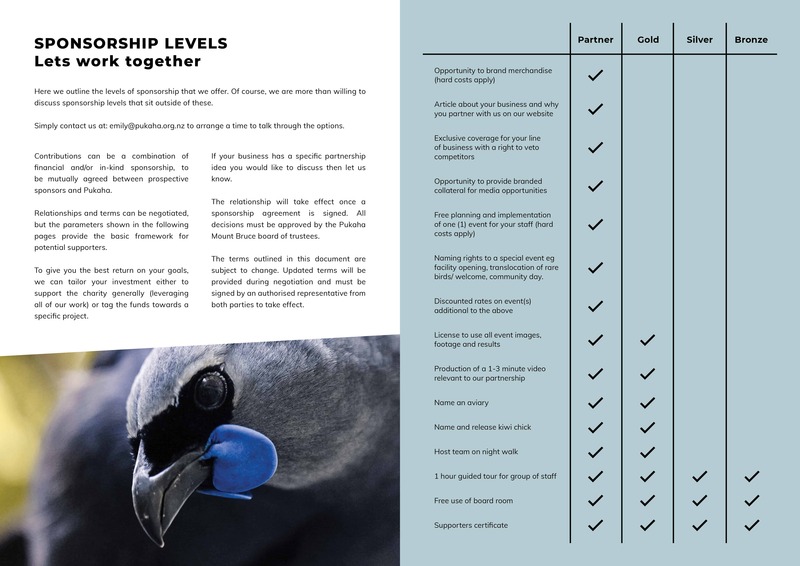 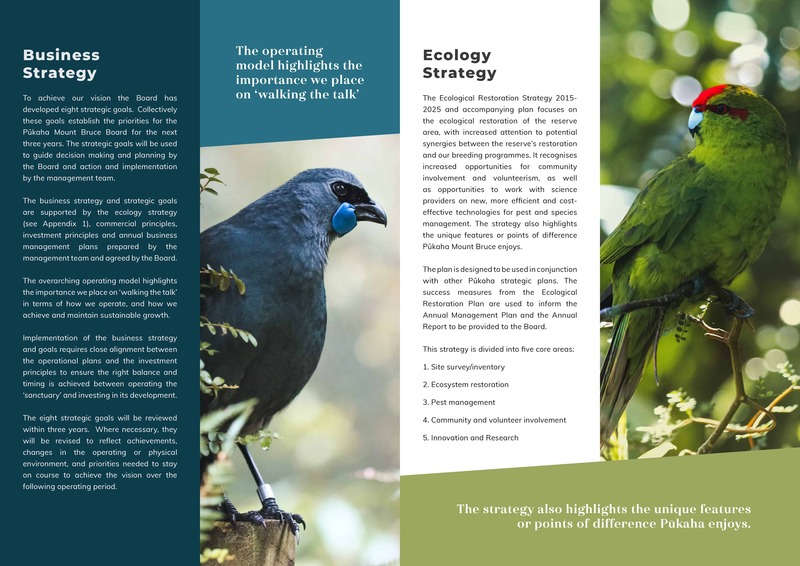 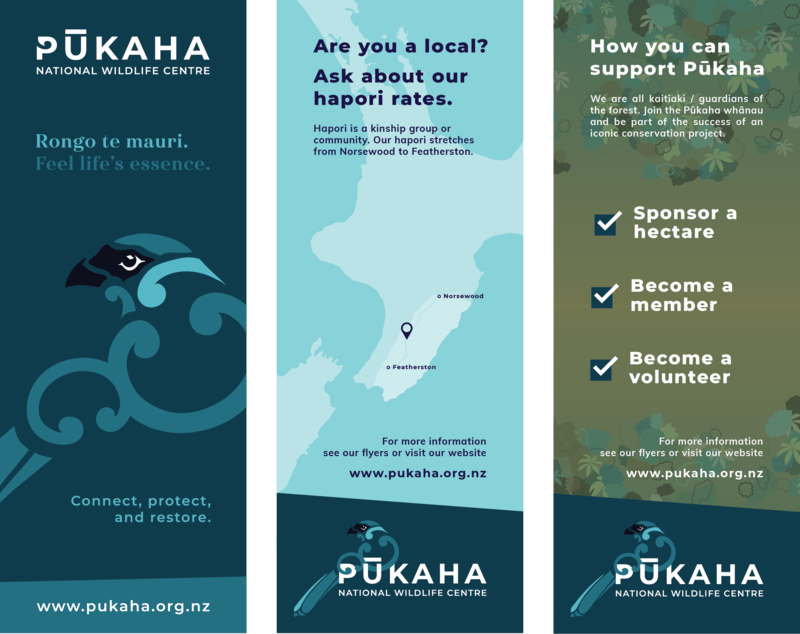 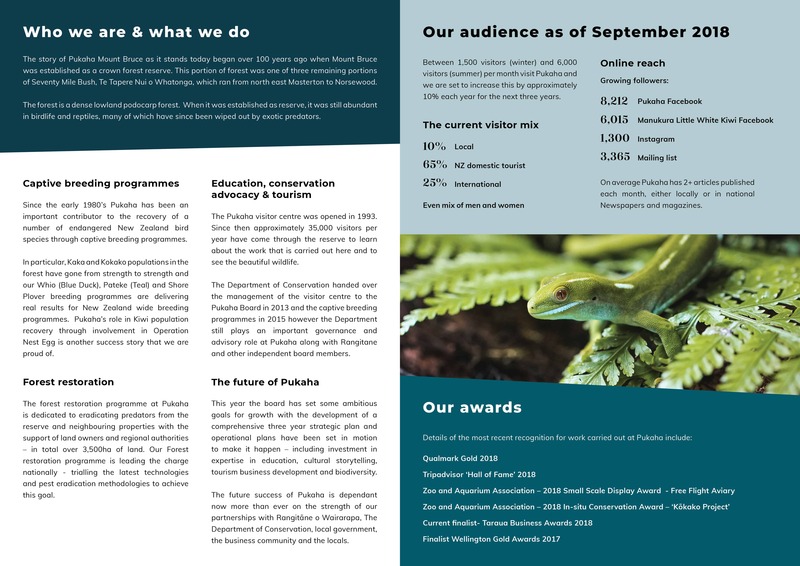 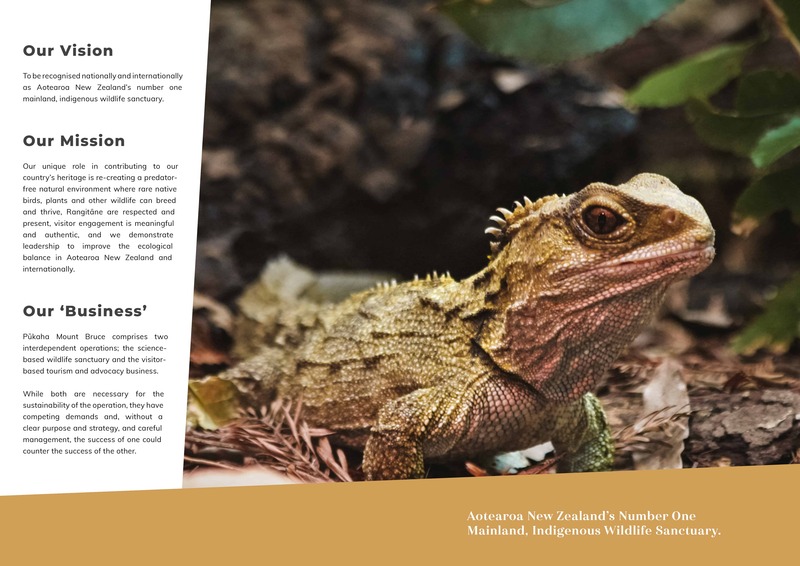 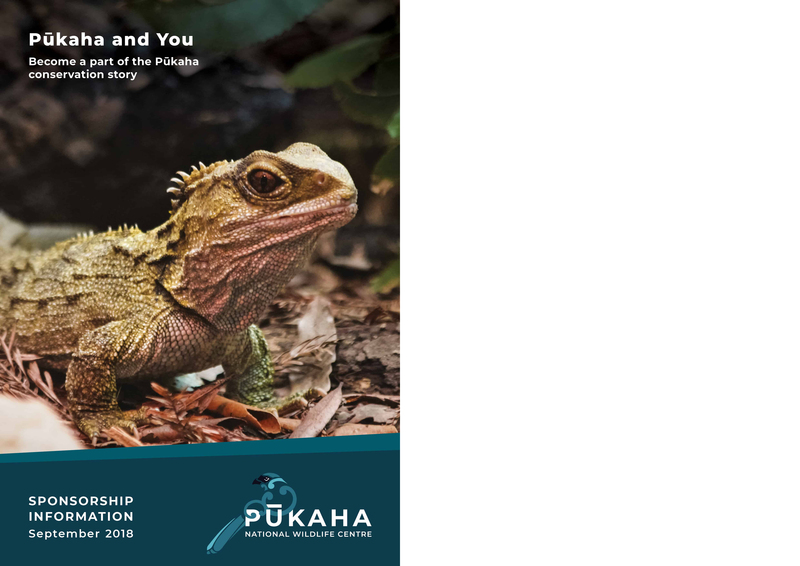 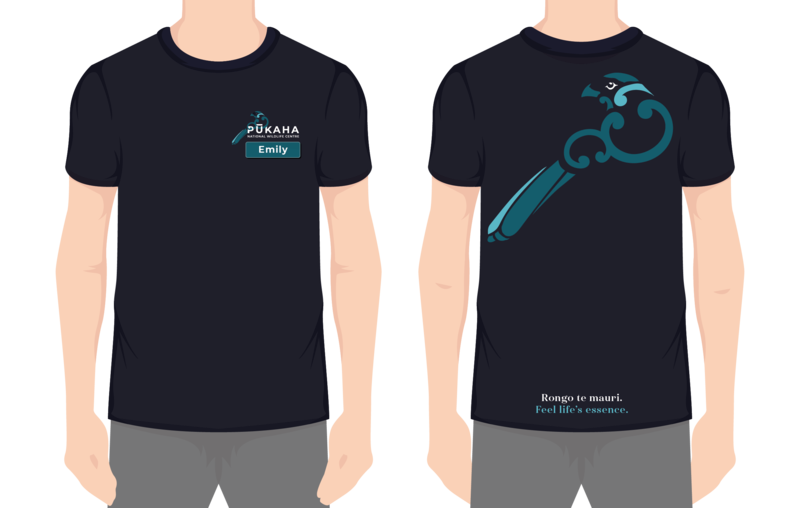 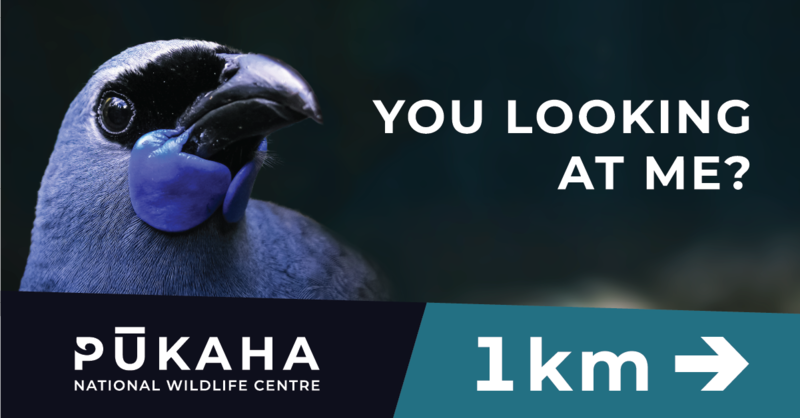 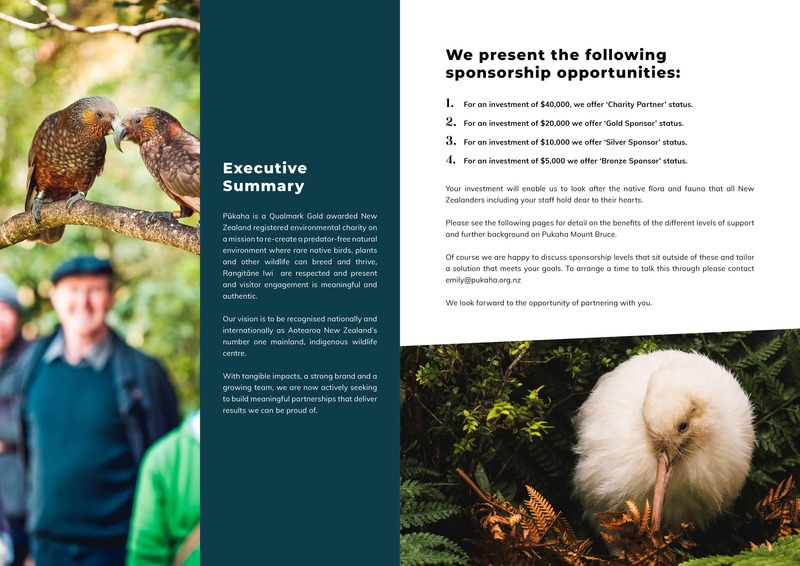 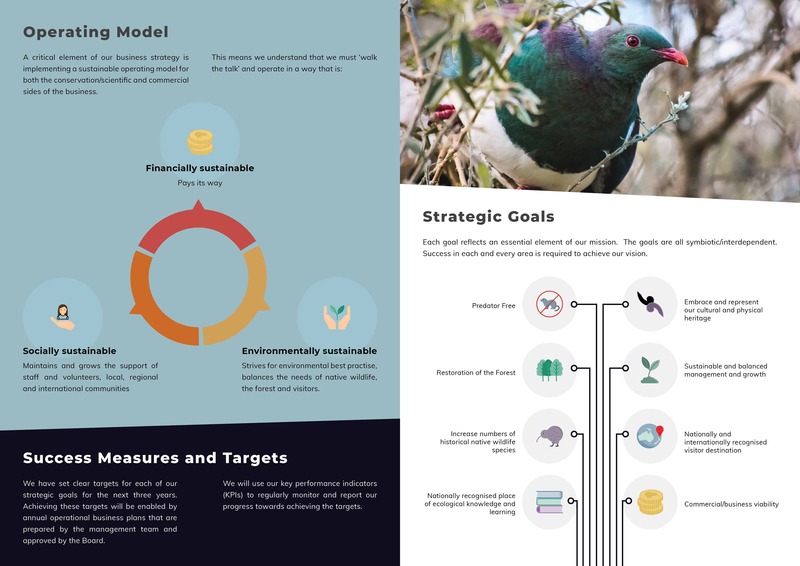 Extending the Pūkaha style across further design work incorporates more complex imagery and typography, with the constant theme of presenting Pūkaha’s information in a clear and attractive way.